To begin your kitchen makeover, take stock of which kitchen supplies you have and compare your supplies to our list below. If you've got all of these kitchen gems, excellent - you're ready to move on to step #3. If not, time to start shopping. But don't worry. While some of these items may be a bit pricey, you don't have to spend a fortune to furnish your kitchen with everything you need to prepare the recipes in this book. There are few essential items that should be lying around your kitchen at all times. Other, more specialized appliances and utensils may be nice to have, but may not be necessary. With some improvisation and creativity you'll be able to get it done with only the basics (good knives, good pots and pans, measuring tools, food processor/blender). 1) Salter Nutrition Scale - This scale is an amazing piece of technology, not only does it weigh out your portions for you, it also is programmed with the nutritional profiles of over 900 foods. This means that if you put a handful of carrots on the scale, it'll not only tell you the weight of the carrots but it'll tell you how many grams of carbohydrates, proteins, and fats are contained in that serving size as well. While this may seem a bit too obsessive, think of it this way. If you were to accidentally overestimate the portion sizes of two daily lean meat selections by just 50 grams per meal, you'd be eating an unexpected 200 calories per day. This could mean an extra half-pound of fat gained per week if you're already overeating! So take the food weights above to heart. Weigh your food so you can be happy when weighing yourself. 2) Measuring Cups and Spoons - For the same reasons we have you weighing your food above, we suggest picking up a good set of stainless steel measuring cups and spoons. Eventually, when you get good, you can translate food weights into fluid amounts like cups or milliliters. For example, do you know how many cups of oats makes 50g? If not, you'll soon learn. It's fine to use a pinch of something here KitchenlS^ ^^ and a dash of something there, but if you're closely watching your calories, weighing and measuring ingredients accurately is the key to approximating the nutritional information listed with each meal. Measuring cups and spoons should be used in these instances. Weighing food is always the more accurate method, and may also be used when fine-tuning your diet. 3) Cookware Set - While you might be thinking that your current cookware situation is adequate, unless you really spent some time figuring out which pots and pans are the best, you might be very wrong. Great cookware not only heats food evenly, it can accelerate the preparation process by heating the food more quickly and preventing sticking. Add to this the fact that great cookware will last significantly longer than the K-mart variety and you can justify the price. However, there's a health factor to consider as well. There is some evidence that aluminum pan interiors and Teflon coated pan interiors may release undesirable minerals and other chemicals into your food. So how can you avoid this? By choosing a non-reactive stainless steel interior, that's how. However, with the stainless steel pans, be sure to always hit them with a light coat of Pam or other olive-oil based nonstick spray. This will help prevent sticking at higher temperatures. Oil works well but does present 2 problems. First, using oil can really drive up the energy density of the diet. Adding just a tablespoon of oil to each of 4 daily food meals (just to coat the pan) can increase daily energy intake by about 500-600 calories. That could amount to an additional pound of fat gained per week if you're already overeating! Secondly, very few oils are stable in heat - therefore cooking with an unstable oil can ruin its nutritional quality. So play it safe and use a small amount of spray instead. 4) Knives - A good set of knives in the kitchen is indispensable. If you pick up a good knife set, you'll immediately know the difference between good knives and your regular brand. Good knives are curved so that rather than stabbing away at your food, you can chop like the Iron Chef (i.e. fast, with a rocking motion). Just be sure you've got a good plastic cutting board as wood boards can hold onto microbes and bacteria. 5) Stainless Steel Tools and Silicon Spatula - Without cooking utensils like a spatula, large spoons, and ladles, you'll likely flounder around in the kitchen wondering how to flip that omelet. Do yourself a favor and get a good set of stainless steel tools as well as some silicon spatulas so you won't ruin your pan. They're a must. 6) Foreman Grill - Thanks to good old George, inhome meat preparation has been revolutionized. 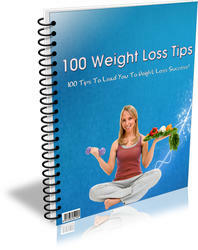 Nowadays, you can grill up a full meal in 10 minutes or less using his fat-reducing machine. Pick up the extra large grill and you'll have a large enough surface area to cook up all of your meat for the entire week in about 20 minutes if you have to. Certainly, you've got plenty of room to grill all your daily meat either the night before or while cooking your breakfast. But don't just cook up the stuff plain. Get a spice blend (discussed below) to season the meat. "Adding just a tablespoon of oil to each of 4 daily food meals (just to coat the pan) can increase daily energy intake by about 500-600 calories. 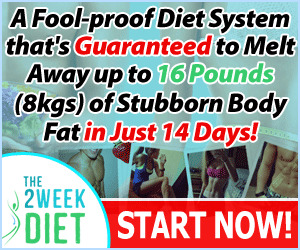 That could amount to an additional pound of fat gained per week if you're already overeating!" Add 0.25 cup of olive oil, 0.25 cup of lemon juice, 1-tablespoon chicken bullion, 5 tablespoons minced garlic, 0.25-cup wine. Let tender meat sit in marinade for 4 hours. Let tougher meat sit in marinade overnight. 7) Cast Iron Wok - Pick one with a pre-seasoned, stick resistant surface that reduces that amount of non-stick spray or oil you'll need. A wok provides a great surface for cooking your meat, rice and vegetable dinners -and you can even do your eggs in the wok. Grill 400g of chicken on your foreman while working in the wok. To the wok, add 2 cloves of garlic (minced using the garlic genus - below) and 1 medium onion (chopped in the food processor - below). Once the garlic and onion begins to brown, add 2 medium tomatoes. When the tomatoes begin to liquefy, add 1 cup of chicken broth from bouillon. When this begins to boil, add 20 pieces of chopped sun-dried tomato, 1 can of green peas (drained), and the chicken. Add 1-teaspoon salt, a dash of turmeric, a dash of coriander, and a dash of chili powder. Then, stir in the pre-cooked rice. Reduce the heat and simmer for 5 minutes before serving. For dessert, have a serving of your favorite fruit. 9) Kitchen Aid Food Processor - If you've always chopped your vegetables by hand, you'll appreciate the time that a food processor saves you. To make your life much, much easier, get a couple of large Tupperware containers. At the end of the week, chop up all your veggies in the food processor and store them in Tupperware containers for the week. Each time you need a vegetable meal, just throw a handful of chopped veggies in a bowl and you're ready to eat. Using this strategy you can also quickly pack up your salads before leaving for work. If you cooked all your meat for the week on the weekend, all you need to do for your daily meals is throw them together before work. If not, just fire up the Foreman while cooking breakfast. 10) Garlic Genius - This little tool makes eating garlic a regular thing. No more annoying chopping as all you need to do is twist your wrist and you've got minced garlic to add to your salads, marinades, and other meals. With all the heart healthy (and other) benefits associated with garlic, everyone should add some into their menu. 12) Espresso Machine - A couple hits of espresso before hitting the gym will not only pick up your mood and intensity, it'll improve your performance and help you burn more fat. But Italian coffee offers other benefits as well. When trying to lure fitness models back to your place, nothing makes them quite as amorous as coffee from Italy. Of course, if you can't manage the $2000 for a top-end espresso machine, the $25 stovetop espresso pot found at any decent kitchen store will do just fine. 13) Window Canisters - These little beauties are attractive as well as functional. Dry foods like coffee, tea, protein powder, etc. can go bad more quickly when exposed to moisture in the air. These containers are airtight and allow you to both preserve your dry foods for longer and keep them right on your countertop for convenience. 14) Kitchen Aid 5-Speed Blender - Every weightlifter needs a good blender in the house for protein shakes, yogurt treats, etc. To take advantage of your blender, check out our shake recipes later in the book.